Update! The event raised over $14,000 which was applied to the research funding of Dr. Anthony Lucci for study of liquid biopsy with the goal of discovering how to detect recurrence and advancement of IBC sooner, hopefully stopping IBC before it becomes metastatic. We are very grateful for the support of all involved in this effort and will have a update of the event on the website from the family asap. 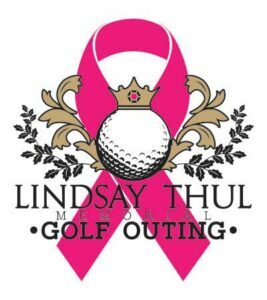 The 2nd annual Lindsay Thul Memorial Golf Outing will raise critical funds needed for Inflammatory Breast Cancer (IBC) support, research, awareness and treatment. Net proceeds will be donated to The IBC Network Foundation. Lindsay Marie Thul passed away 2/1/2017, less than 10 months following a diagnosis of IBC. More research is needed to find answers to what causes IBC, and how best to treat it. Includes greens fee, cart, goody bag and free meal voucher & one free drink token for redemption at the Awards Party, immediately following the golf outing being held at the Public House Davenport. To pay with credit card, contact Nick Thul. ONE team mulligan will be available for purchase at the course for $20. Top Team and Golf Challenge Winners will be recognized at the Awards Party. Raffle, silent auction and other fundraising activities will take place at the Awards Party. Lindsay Marie Thul died at the young age of 29 on February 1, 2017, less than 10 months following her official IBC diagnosis. 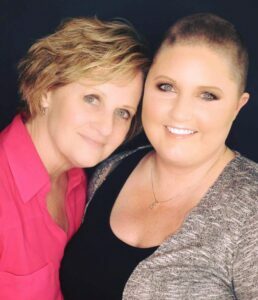 There is no family history of any type of cancer and Lindsay was a healthy, active 28 year old young professional in the prime of her life. Additionally, her diagnosis was triple negative and was resistant to all of the traditional therapies used. WE WANT ANSWERS and feel this can be accomplished by funding research into cause and treatment of triple negative Inflammatory Breast Cancer. The First Annual Lindsay Thul Memorial Golf Outing was held on Friday, September 29, 2017 at Glynns Creek Golf Course with an awards party held the following day The Public House owned by friends Austin & Johnna Chesney. A total of 144 golfers participated in the event. The outing was kept simple with no food or meal offered, although they could purchase food and beverages in the clubhouse. At the awards party on Oct. 1st, all golfers received a free meal (burgers, chips) and a free beverage of their choice, compliments of the bar owners. Prizes were awarded to the 2 top teams ($20 per team), which was donated back to the cause by both teams. There were also some challenges on the course (3 for men and 3 for women), and the winners were awarded fun items donated by the golf course. The top team also received a small trophy commemorating the outing. All hole sponsor signage, welcome banner and golf ball printing was donated and the overhead expenses were kept to a minimum. The event was promoted by word of mouth, social media, and free PSA’s through Townsquare Media (radio). A special logo was designed by a friend and was used in all promotions and on a couple of golfer goody bag items (a poker chip and bag tag donated by Deanna and John Valliere). In addition to the golf outing, there was also a silent auction held at the awards party with many very nice items donated by friends and family. The 2017 event raised $13,500 for research.